Red Bull will reportedly part ways with Renault after this season having requested an early end to their partnership. Formula 1's decision to swap to 1.6-litre V6 engines signalled the death knoll for Red Bull and Renault's relationship. With the latter failing to produce an engine capable of challenging Mercedes' unit, Red Bull's frustrations have continued to rise. This has led to both parties publicly criticising one another with rumours suggesting that Red Bull could be moving onto Mercedes power. That now appears to be a step closer with Autosport reporting that the "relationship will not continue next year." 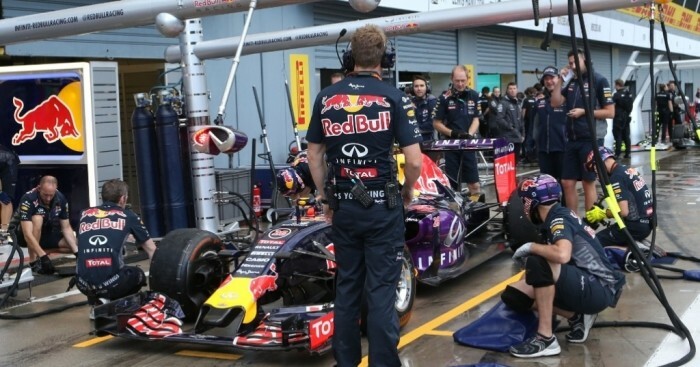 According to the publication, Red Bull have "issued a document requesting a termination" of their engine deal one year before its scheduled conclusion. With seven races remaining this season, Red Bull are fourth in the Constructors' Championship on 113 points, 338 behind Championship leaders Mercedes.